Dr. Robin B. Gray earned a Bachelor of Aeronautical Engineering degree from Rensselaer Polytechnic Institute in 1946, a Master of Science in Aeronautical Engineering degree from Georgia Institute of Technology in 1947, and a PhD degree from Princeton University in 1957. At Princeton, he was a student of Professor Nikolsky. From 1947 to 1949, Dr. Gray was a Research Engineer at Georgia Tech, where he worked with Professor Walter Castles, Jr. and began his career in rotorcraft technology. He was a Graduate Research Assistant and Research Associate at Princeton University from 1949 to 1956. He returned to Georgia Tech in 1956 and served as the Regents' Professor and Associate Director of the School of Aerospace Engineering. 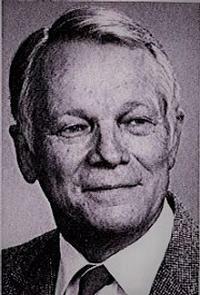 He was the Acting Director of the School from 1986 to 1988 and was Principal Investigator and Technical Director of Georgia Tech's U.S. Army Center of Rotary Wing Aircraft Technology from 1982 to 1986. At Georgia Tech, Dr. Gray has taught an introductory helicopter course regularly since 1962, and has developed and taught two graduate courses on rotor aerodynamics and an introductory course on helicopter stability and control. Almost 1,200 students have elected to enroll in these courses. Dr. Gray's 43 years of research activities include: rotor model and test facility development; model rotor testing in wind tunnels, drop towers, moving test beds, and static thrust cells which dealt with performance and stability characteristics, flow visualization, wake velocity measurements, blade pressure measurements, and transition in ground effect; analysis of tip‐jet‐powered, jet‐flapped rotors; analysis, design, and testing of ducted fans; analysis of heavily loaded, optimum ducted fans; analysis and design of inflatable rotorchutes; experiments on and computer modeling of vortex rings; tip vortex core modeling; and vortex panel methods for predicting pressure distributions on thick wings and rotor blades. While at Princeton, he performed the first in‐depth flow visualization study of the vortex wake of a rotor in hovering and forward flight and developed a method for applying the results to the calculation of blade loading. Dr. Gray is a member of the Vertical Flight Society, the American Institute of Aeronautics and Astronautics, the American Society for Engineering Educators, and the Society of the Sigma Xi. Dr. Gray was awarded with the Alexander A. Nikolsky Honorary Lectureship in 1991 at AHS Forum 47 Awards ceremony where he delivered his lecture titled, "Vortex Modeling for Rotor Aerodynamics."